Overdoing It: Are You Doing This? Hi my favorite readers! I was just thinking about writing a post about how to tell when you are overdoing it, when a rescue team was called to the hot tub. It turns out a lady overheated while sitting in the tub. She didn’t realize she was overdoing it. I don’t know how it turned out, but hopefully she is home staying cool. I remember asking my physical therapist for an answer. She mentioned that if there was pain for more than two hours after exercise, it signified overdoing it. OK. More than one source confirms this two-hour period for being a gauge. So, I’ll buy that. 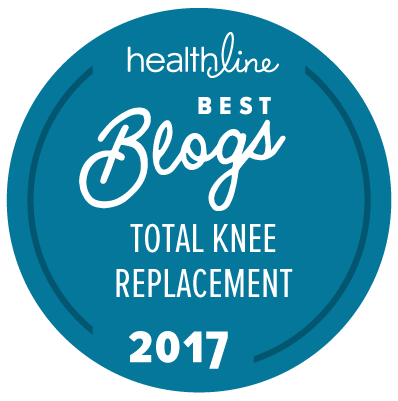 Now…how about the times not affecting a tkr, or total knee replacement? Like when one is sitting in a hot tub, wet or dry sauna, swimming or exercising in the gym? What about pregnant woman, those with diabetes, etc.? Hotter temperatures can easily lead to heat exhaustion or heat strokes without any physical exertion involved. I had someone tell me to put a cold towel on my head while sitting in a sauna to withstand hot temperatures for longer periods of time. I can see how a cold head might help out. But, my question is…how can you tell when you’re overdoing it? If your head is cold, does that mean the rest of your body isn’t getting overheated? How can it? What if the nerves in someone’s cervical area, which send signals from your neck to your body are severed, or damaged, so proper transmission is hindered? Anyways…overdoing can result from too much exercise, too much heat, too much food, too much anything..to be truthful. When doing research into overdoing it, I came up with a list of signals to look out for. This applies to the general population who do not have any predisposed conditions, like a fractured C-1. It is imperative that you know your body so you can more easily notice when things aren’t feeling or going correctly. At least, that’s what I’m told. Overdoing it is a foreign field to me, since I’ve had a fractured C-1. Personally, I don’t realize I’m overdoing it until I cannot function properly. That is why I keep track of my pulse, time spent engaged in activities and other external signals. Even those fail sometimes. Whenever in doubt about any situation, I always place safety first. I would much rather be a “wimp” than someone in the emergency room. Hope this helps others going through the same thing. Find interesting? Kindly share…..Thanks! AUTHOR NOTE: Booktoots’ Healing helps total knee replacement patients find support throughout recuperation and beyond. Its mission is for patients to understand they are not alone in their ordeal with either a tkr or other physicality concerns. The site is owned and operated by Marie Buckner, a published author and tkr patient who has been living with various physicalities for over 30+ years. She enjoys sharing her experiences to help others going through the same thing. Informative and important post for all TKR recipients’ to understand. As I tell my patients when seeing them for TKR physical rehabilitation is that the knee is very temperamental. As you indicated in your post and is common after a TKR, most people will not understand what overdoing it is until, they over do it. It seems these instructions do not sink in until the patient experiences one of your symptoms you describe then they know how to dial it back a bit. This is one of the biggest problems I see because mentally they begin to feel like their ” old selves” but physically the knee is not ready for the increased workload.